680TVL ICR D/N Camera. 1/3 inches 960H Exview CCD. Color: 680 TVL. B/W: 700 TVL. Lens not included. 12V DC / 24V AC. 1 Year Warranty. 420TVL Color Camera. 1/3 inches Super HAD CCD. 420 TV Lines. 0.2 Lux @ F1.2. Lead (Pb) Free RoHS Compliance. Long life and high reliability are achieved by the use of CCD imaging device. This makes the camera 100% solid state. Dual Power 12V DC / 24V AC. 1 year warranty. 610TVL Hyper Wide Dynamic Camera. 1/3 inches Double Speed (Double-density) CCD. Color: 680 TVL. BandW: 630 TVL. Lens not included. 12V DC / 24V AC 1 Year Warranty. 680TVL Hyper Wide Dynamic Vandal Dome Camera. 1/3 inches Double Speed (Double-density) CCD. Color: 680 TVL. B&W: 700 TVL. 2.8mm~10.5mm Aspherical Auto Iris Lens. 12V DC / 24V AC. 1 Year Warranty. If you wish to install box cameras at your home or office premises, all your needs end at SF Cable. 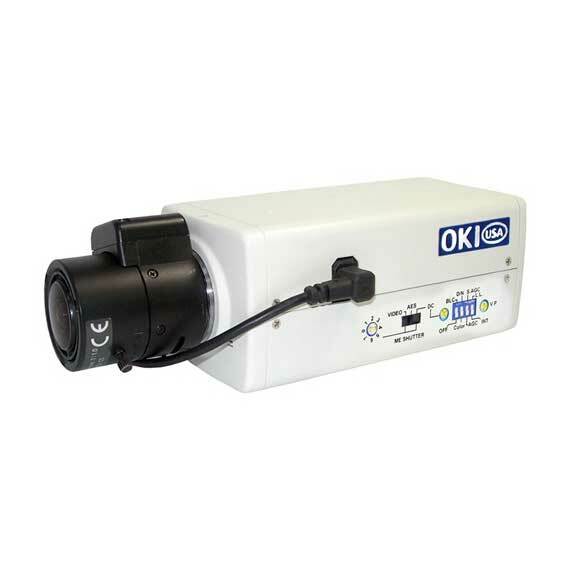 We have quality box cameras to efficiently manage your security requirements. Our range of Box Cameras include 680TVL ICR D/N Cameras with different specifications and prices, 420 TVL Color Cameras, 610TVL Hyper Wide Dynamic Cameras, 610TVL Hyper Wide Dynamic Cameras, 610TVL Hyper Wide Dynamic ICR Cameras, and others. All our products are RoHS compliant and environmentally friendly. We source all the products directly from the manufacturer, hence eliminating the cost of middlemen which helps us to keep the costs minimal. We work with dedication to achieve customer satisfaction and provide lifetime technical support for our sales.